Wildlife officials in Spain are mulling over plans to put an end to the party for a particularly prolific bear who, despite essentially being well into his golden years, is still so virile that he has a virtual monopoly on mating with females in the region. There are only about 30 bears left roaming around the forests of Pyrenees mountains, along the border with France, and nearly all are believed to be related in one way or another to Pyros -- the group's dominant male. At 26-years-old, the alpha bear has managed to maintain a strong sexual appetite far exceeding when bears normally lose interest (at around age 19). But his prolonged prime isn't good news for everybody. Concerned that Pyros's unfading vigor is preventing younger males passing their genes on too, experts are now considering stepping in to end his reign. "If he keeps up the dominant attitude for a few more years, the other males in the mountains have no chance of mating with any of the females," says environmentalist José Enquire Arró. Though it would go against the hands-off approach of traditional biology, officials are looking into the possibility of castrating Pyros to snuff out his powerful procreation prowess. Others have suggested more drastic measures, like relocating him to a wildlife sanctuary away from his harem or even euthanasia, fearing that even once robbed of his gonads he might still try to keep the female bears all to himself. But instead of conspiring to stop Pyros's ways, wildlife officials should probably be celebrating him. 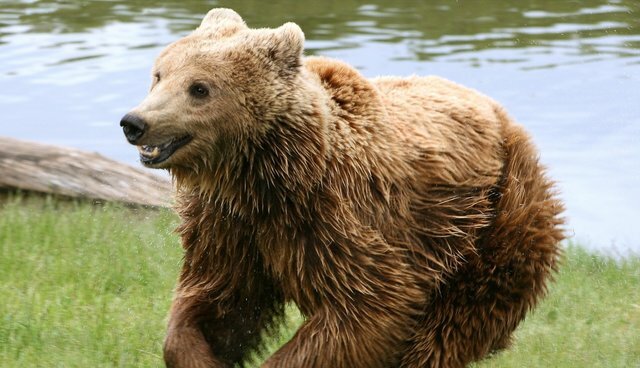 After bears in the Pyrenees were driven to near-extinction in the 1990s, Pyros and two other females were introduced to the region from Slovenia to bolster the species's numbers, which he's clearly succeeded in doing. Given that these animals rarely live to be over 20, chances are Pyros days as top bear are numbered anyway -- so it seems only fair to let him live out his days entact.